White Rhino takes a bit of a departure from their familiar pen-style offerings into the realm of larger portable units with their new multi-function vaporizer, the Hylo. I’ve tried some White Rhino products in the past, and didn’t love them. However, I always get excited when trying out a new vaporizer, and I was eager to see how the Hylo performed. If you judge a book by its cover, you won’t like the Hylo. While I do appreciate the fact it’s available in eight different colors, I’m just not a fan of the design. It kind of just look like big Crayola crayons to me – or maybe I’m just being overly critical. Even though I think the Hylo is ugly, I appreciate that fact that White Rhino didn’t just slap their logo on a re-branded G Pro, and actually put some time into designing something unique. 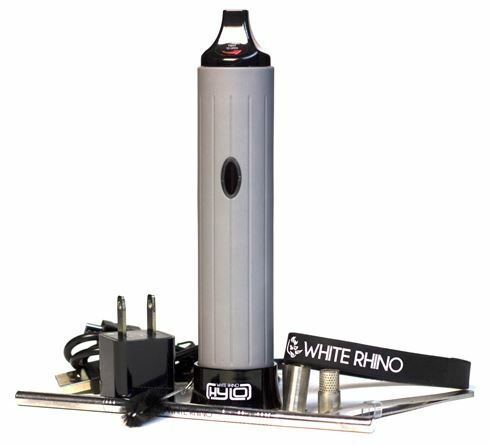 In an age when so many companies are just releasing the same exact unit as everyone else, and just calling it something different, the fact that the team at White Rhino has an actual patented design on the Hylo shows they put some thought and effort into this release, and for that, I applaud them. The next thing that caught my eye was the perceived simplicity of the Hylo. The power button and logo are the only things that adorn the body. It’s basic – too basic. Maybe White Rhino was just trying to keep it simple, and if that’s the case, they succeeded. However, the nondescript styling coupled with a strangely light-weight build kind of just make the Hylo seem ‘cheap’. The Hylo utilizes convection heating to produce a true, zero-combustion vaporization experience. This unit comes with three preset temperature settings (374°, 392° and 410°F) that can be selected by way of a centralized power button. The highest of the three heat settings is reached in just 45 seconds, which is pretty quick when compared to, let’s say, the Pinnacle Pro, which takes 90 seconds. Additionally, you’ll be able to fully charge the Hylo in just 90 minutes. Not to shabby. 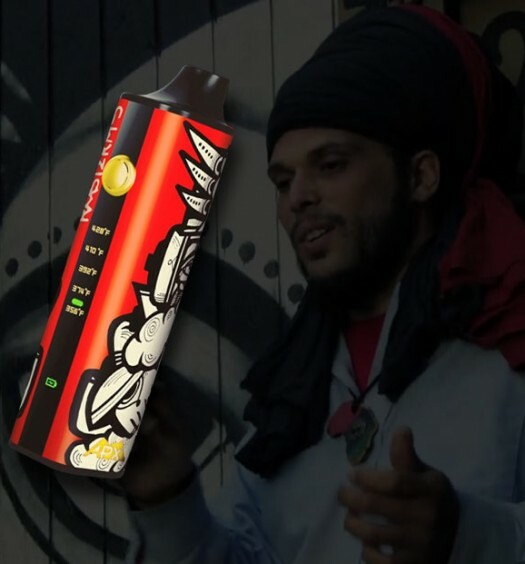 Billed as a multi-function unit, the Hylo is compatible with dry herbs, wax and waxy oils – and comes with a separate bullet style bowl for each. As I previously stated, it’s usually hard for me to get excited about these multi-use types of vaporizers, as I much prefer a unit that does one thing well, instead of performing a few different functions in mediocre fashion. However, I’m approaching this with an open mind and won’t jump to conclusions just yet. The herb bowl included with the Hylo is well designed. It’s pretty much the perfect size – not too large where if you pack it full you’ll end up with only a fraction of vaporized bud, but not so small that you’ll have to pack up bowl after bowl. Numerous holes at the bottom of the bullet allow for optimal heat induction through the chamber, ensuring your herbs are properly heated. I was able to get some pretty nice vapor production on the MID and HI settings (I usually don’t test out the LO settings on units, as the vapor production is typically pretty weak). The Hylo’s wax bowl is pretty standard. You’ll want to be careful not to over pack it – a little less than a quarter full is all it needs to be. Now, let’s talk about why I’m not a fan of these multi-use vaporizers, they seldom get hot enough to fully vaporize wax in one cycle. Even on the highest setting, 410°F, the wax won’t fully vaporize. Depending on how much you pack, you’ll most likely need to run through another three minute cycle in order to make all your wax completely vaporize. Personally, I’d rather just us my bong’s skillet attachment or an e-nail. The design of the oil bowl is similar to the wax bowl, except there’s an additional chamber at the bottom which contains a wick, which ensures full vaporization of the oil. As expected, I had a similar experience when attempting to vaporize oil as I did with the wax, having to run through multiple cycles before it was fully vaporized. Again, this is a little annoying to me, as there are plenty of other options out there for waxes and oils. I don’t see the point in wasting ten minutes of my day on something that should take thirty seconds. *NOTE* Keep in mind, the bullets will be extremely hot if you try to remove them from the heat chamber immediately after a session. Be sure to use the tweezers that come with the unit, or you’ll end up with a nasty burn. I chose the Pinnacle Pro for a side-by-side comparison because both units function in pretty much the same way. Both are billed as multi-function vaporizers and utilize the same type of bullet bowl loading technique. Both the Hylo and the Pinnacle Pro are roughly the same size and overall very portable. While the Pinnacle does boast five heat settings to the Hylo’s three, you’ll find you won’t be missing anything with fewer temperature presets in this case. As far as heat-up time goes, the Hylo reaches it’s highest setting in just 45 seconds, which is about half the time it takes the Pinnacle Pro. If you hold the Hylo in one hand and the Pro in the other, it feels like the Pinnacle may a higher quality build. However, as I spent a consider amount of time doing customer service at a vaporizer wholesaler, my experience tells me better. Only time will tell if Hylo users will run into the plethora off issues it seems the poor folks who purchased Pinnacle Pros have had to deal with. Maybe this is where the overly simplified Hylo has the advantage. It seems like there’s just less that could go wrong with the Hylo, since there’s not a lot going on in the first place. IS THE HYLO WORTH THE PRICE? Retailing for around $200, I’m not sure the Hylo is worth the cost of admission. 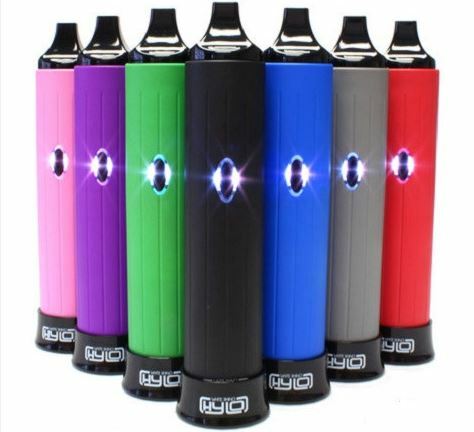 Considering it functions best as strictly a dry herb vaporizer, you’d be better off at purchasing any number of portable herbal units for around half the price. However, when compared to other multi-function units in its class, such as the Pinnacle Pro, the Hylo performs just as well, if not better. Personally, I’d rather put that $200 towards an Arizer Air for herbals, and then just use a Dr. Dabber Ghost or my bong’s skillet attachment for wax. Personally, I wouldn’t waste my time with the Hylo. However, I’m sure there’s someone out there who has always wanted a purple portable vaporizer. If that’s the case, the Hylo is for you! You can purchase it from this trusted retailer, or, you can purchase it from another retailer I recommend and get some free gifts included. 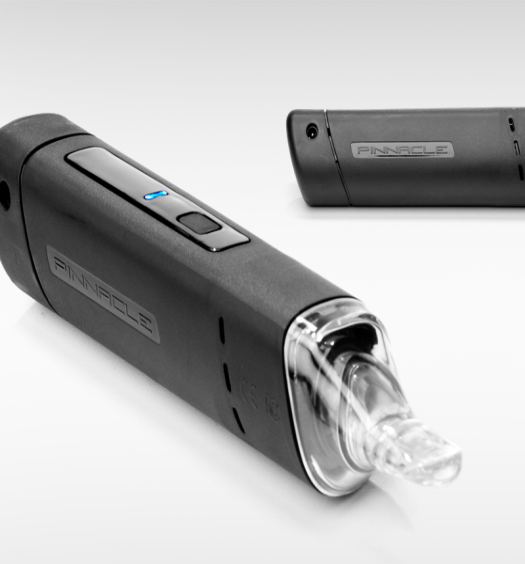 If it was priced about $100 less, I’d say the Hylo would be a great entry-level vaporizer. However, aside from concentrate compatibility, there’s nothing the Hylo does that the K-Vape or G Pro won’t do for half the price. With that said, if you can get a good deal on it, and want a portable that you can use for herb as well as wax, then the Hylo is a decent investment. You can get the hylo for 65 dollars on groupon right now. Good call! For that price, it’s certainly worth considering.